I have never considered the concept that simple is luxury. Have you? Not once have I had the desire for my life to be more complex, most of the time I yearn for it to be simpler. This has led to me doing things such as minimising my possessions and cutting out the unnecessary in as many areas as possible. Minimal, stress free, clutter free living seems to be gaining popularity worldwide, perhaps because of this yearning for the luxury of simple. There is an entire (holiday / vacation) industry set up where people part with their hard earned cash so they can experience the luxury of simple for a few weeks of the year. I feel luxury is often seen as something that you buy, that can cost large amounts of money. I love that the luxury of simple concept challenges this thinking. How about you? 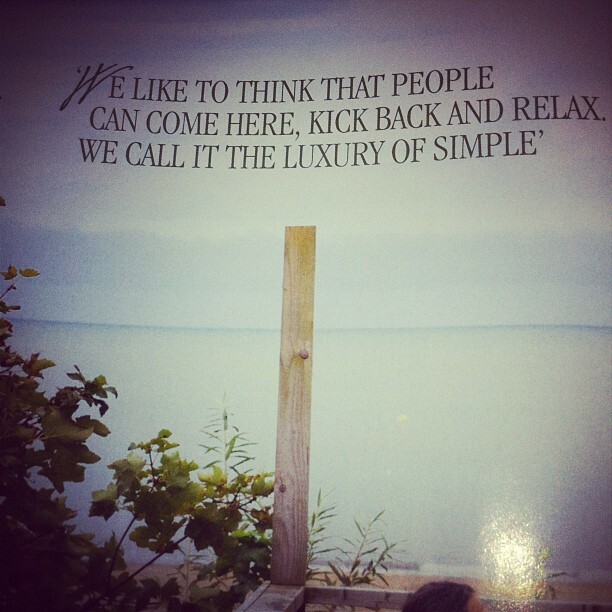 How do you experience the luxury of simple? Sign up for my free daily letter delivered direct to your inbox every day. Dive in Beyond The Surface to receive more in-depth sharing from me.